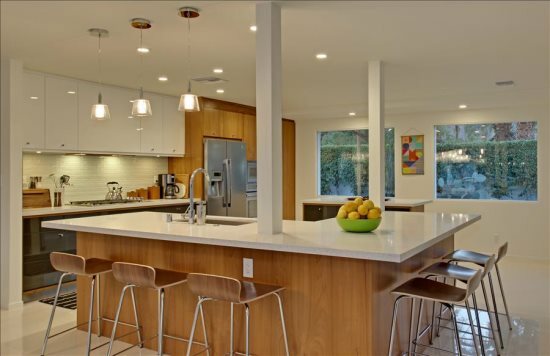 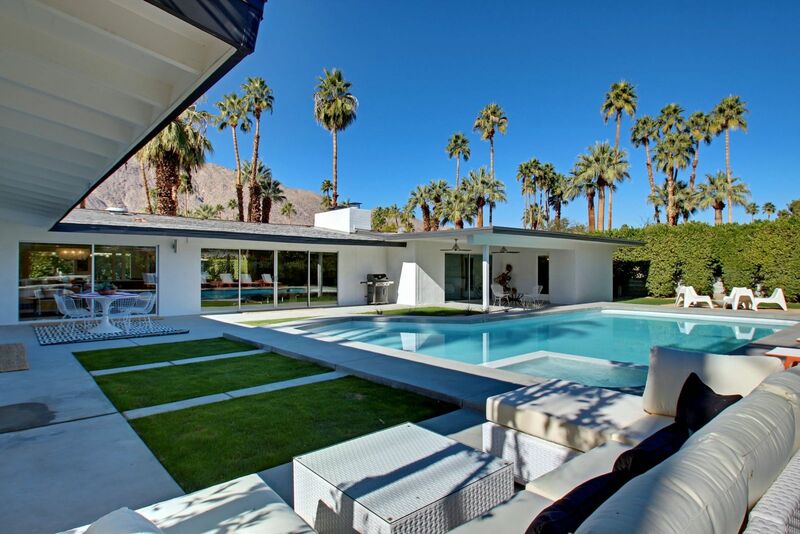 This gorgeous Classic California Ranch style showpiece was built in 1957 and has been fully renovated and features all of the modern luxuries and conveniences of today. 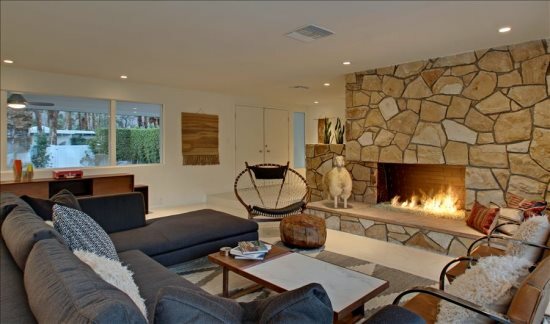 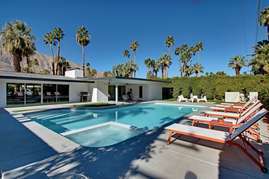 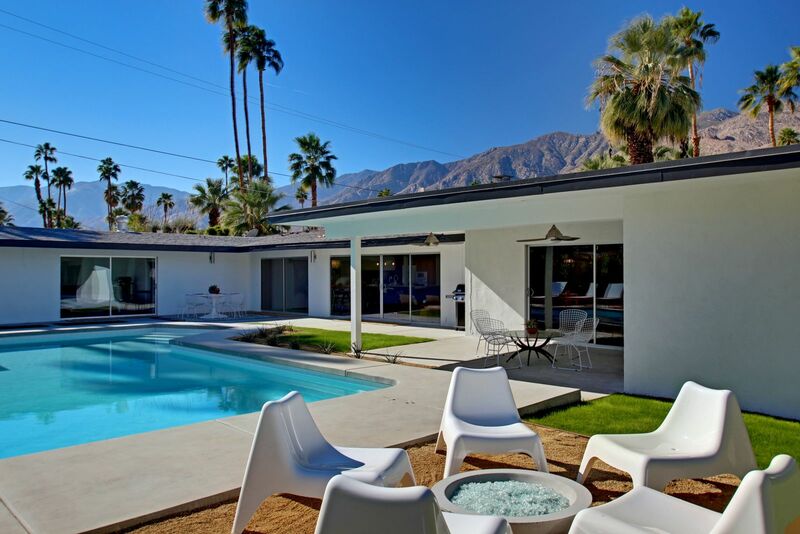 Hollywood Glamour is a mix of Classic California Ranch with Mid Century Modern architectural. 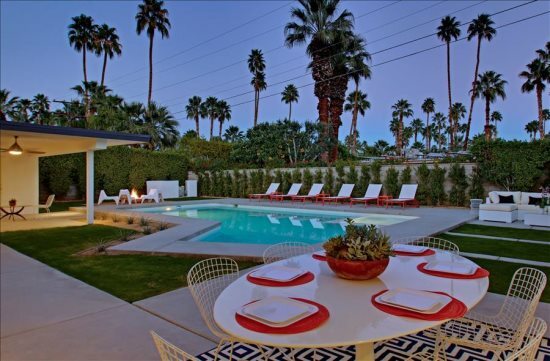 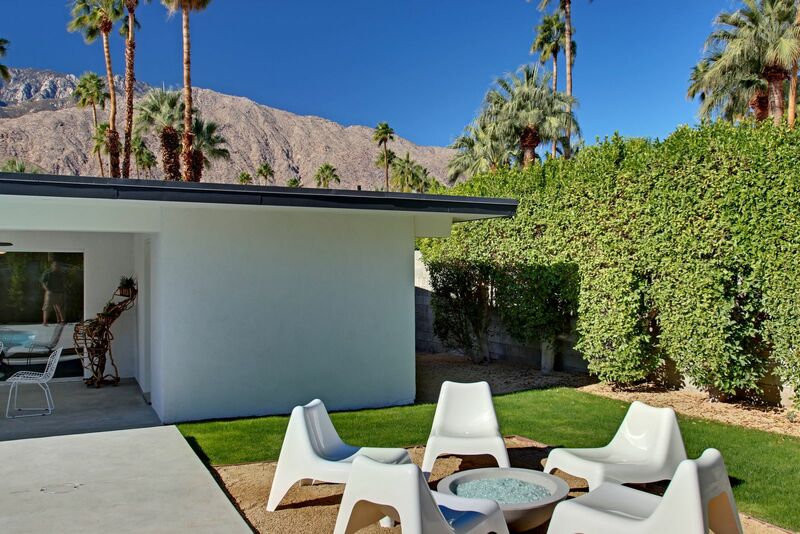 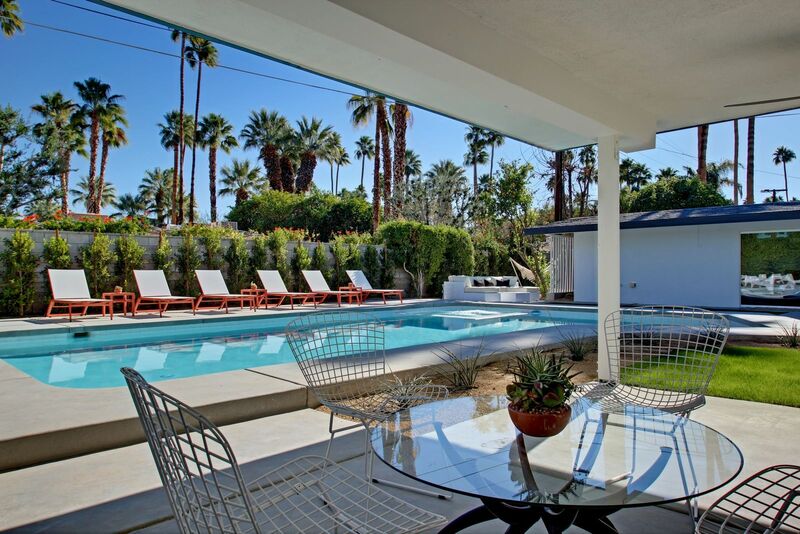 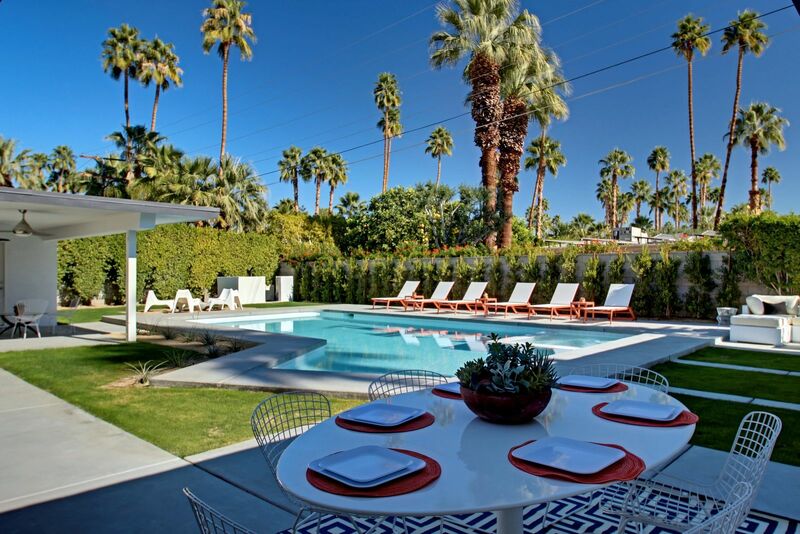 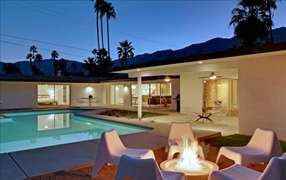 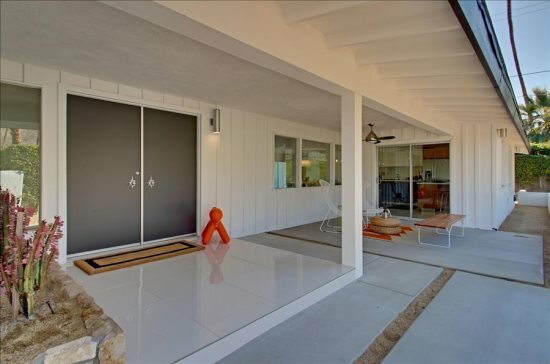 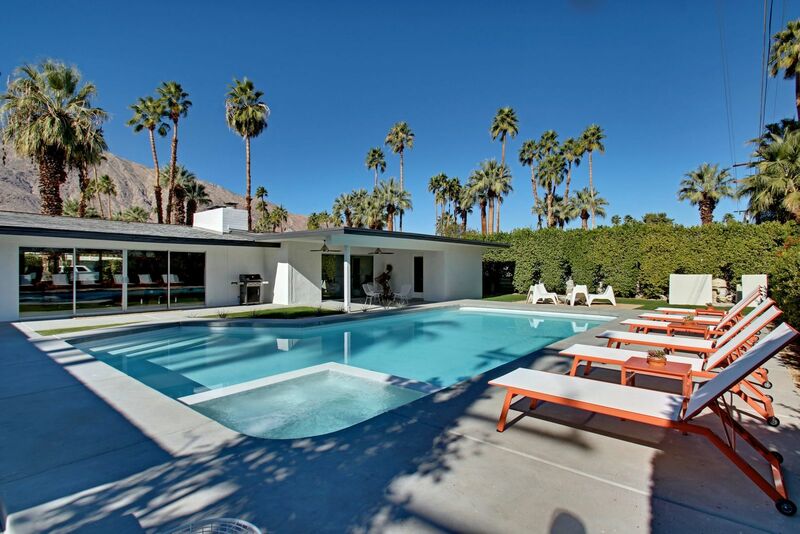 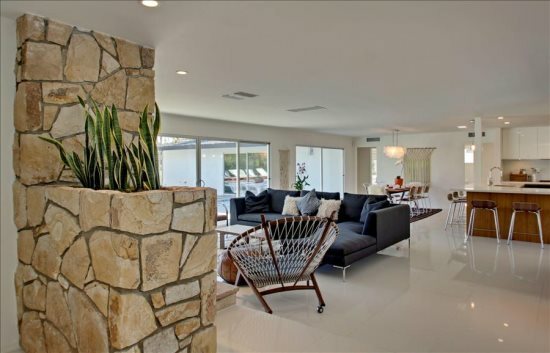 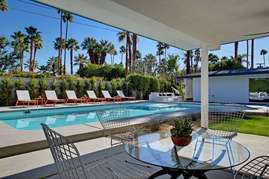 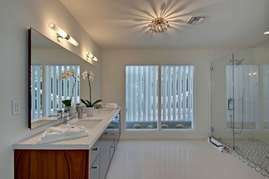 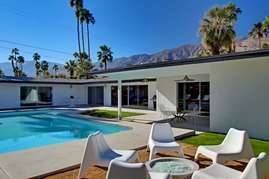 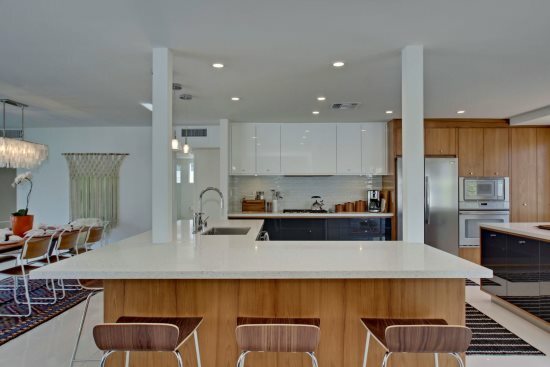 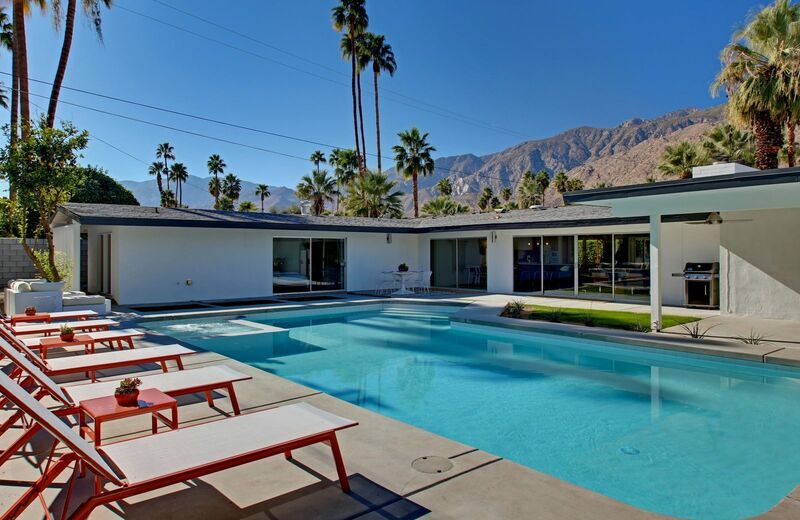 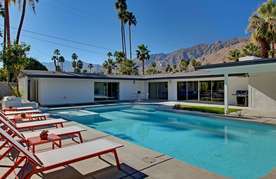 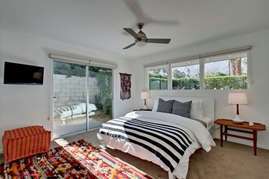 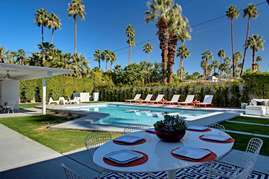 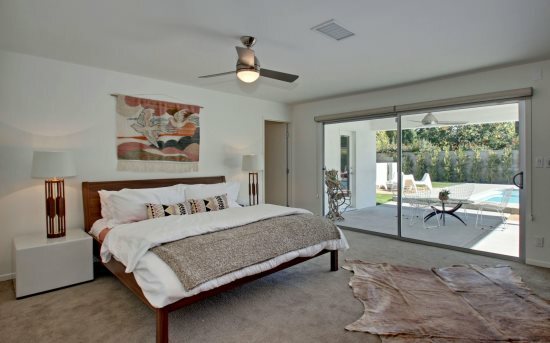 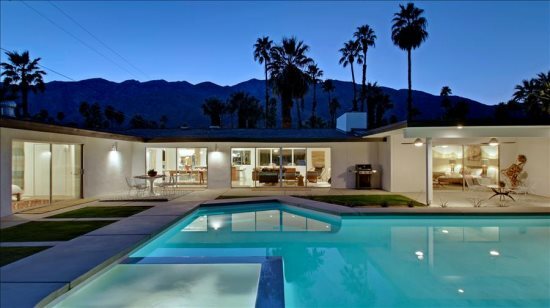 This amazing Palm Springs vacation home offers 4 bedrooms and 3 baths over 2600 square feet of living space, and retains many of the original decorative design features. 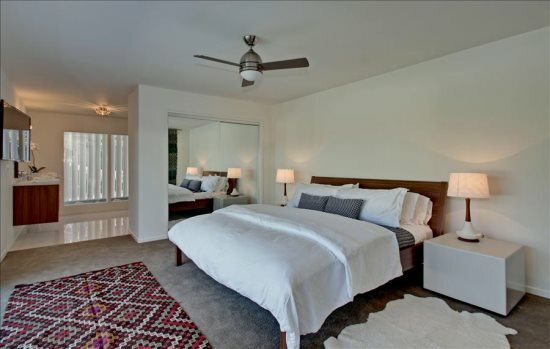 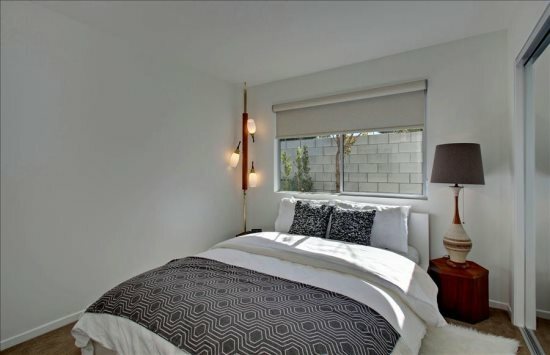 Hollywood Glamour offers two luxurious master suites, each with king size beds and a spa like master bath. 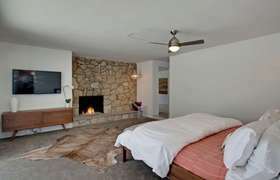 The other 2 bedrooms provide a queen size bed, for your comfort and flat screen TVs on the wall. 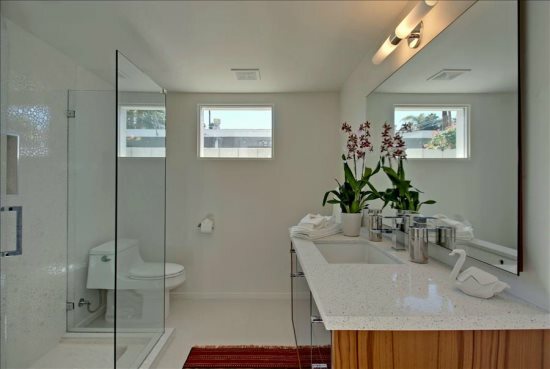 These 2 rooms share an amazing bathroom. Relax into the wrap-around sofa and read a book or enjoy the openness of the adjoining dining and kitchen areas. 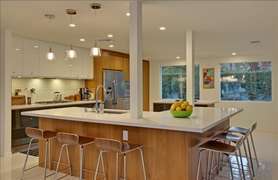 The kitchen is a chef’s dream. 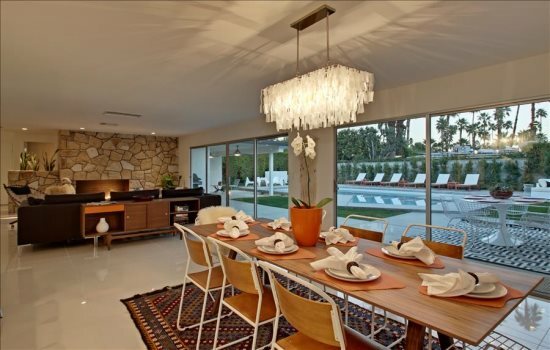 Fully equipped to prepare your friends and family an exquisite meal.